Nablus. Palestinian Territories. 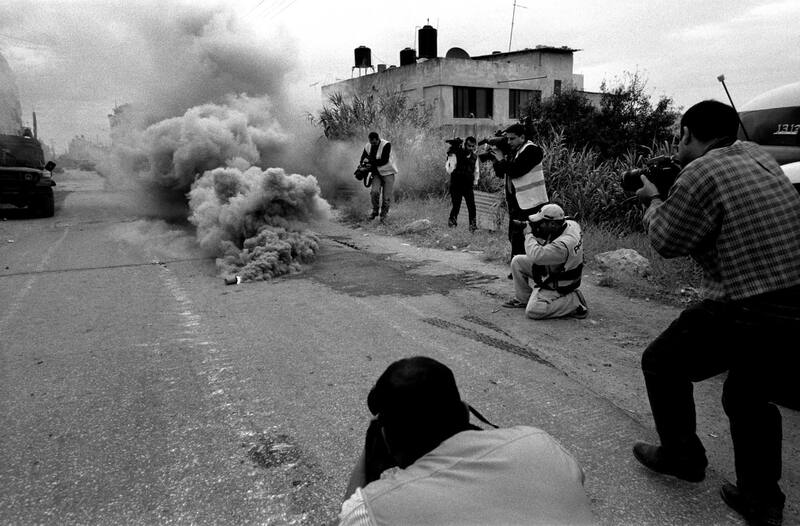 2004 Press filming tear gas thrown by IDF to keep locals and the press away from an operation they are undertaking to capture or kill suspected militants in a nearby building.